During Xbox’s Gamescom presentation they announced that the popular PC MOBA Smite by Hi-Rez Studios will be coming to the Xbox One. This game will play as a 3rd person adventure, with gameplay comparable to League of Legends and DOTA 2. In Smite players will battle against each other in 5 v 5 teams, and achieve objectives such as destroying the opposing team’s base. 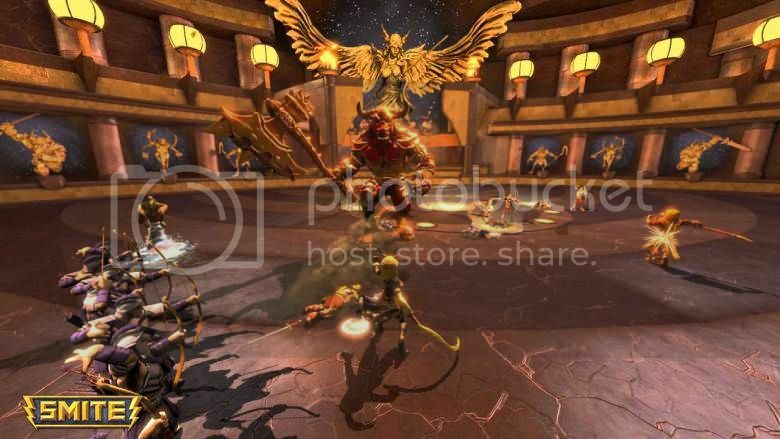 Players will fight as mythological gods from all over the world such as Ra, Thor, Poseidon, and many more. During a match in Smite players can level their characters up to level 20, strengthening their abilities along the way. When you first start playing Smite you will only be able to select a character from the initial gods. However as you get more play time or through micro transactions you can eventually unlock up to 56 gods to choose from. Players will have the to option to choose from six different game modes while playing Smite. Arena – A deathmatch based mode where players will try to reduce the other team’s ticket count down to zero. Assault – Players will attempt to destroy the other team’s towers, phoenixes, and Minotaurs. Maps will contain a single lane and no jungle. Conquest – Players will attempt to destroy the other team’s towers (x3), phoenixes (x3), and Minotaurs (x3). Maps will contain a three lanes and a jungle. Joust – Players and a friend will be placed on opposite teams, with the object to destroy the others Minotaur. Practice – Where player will complete basic training and will learn the basics of gameplay. 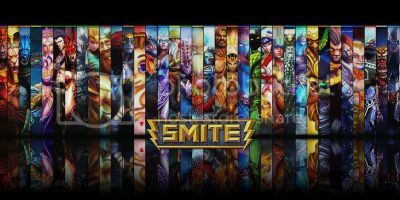 Smite will be making its initial console appearance, first on Xbox One before making it was over to any other consoles.Smite has been announced that it will continue to be a free to play title on Xbox One. I hope that all of its PC components will come over to the Xbox One version on launch. This game will definitely be a title that I and surely many others will keep an eye on. As I don’t have a gaming PC, and have been hoping for a MOBA to appear on a console for quite some time. No exact release date has been given, but early reports say that Smite should be available some time in 2015. As always thank you for reading and GAME ON!!! !